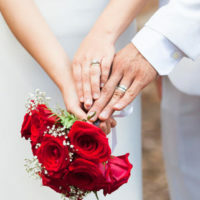 Making the decision to ask your partner to get married can be scary and stressful enough, but this can pale in comparison to the stress and anxiety some people feel about broaching the subject of a prenup before saying “I do.” Unless the topic has been addressed in conversation before, bringing up a prenup out of the blue can make or break some couples. In the past, there’s always been a negative connotation associated with prenuptial agreements. The truth is, they are more like an insurance policy rather than a way to rip off the partner in the event of a divorce. With more couples getting married later in life or remarrying multiple times, people are bringing significant assets into a marriage, and they may have children from a prior marriage they wish to protect. When deciding how to bring up the discussion, what you say can have a big impact on how well-received the news is to your future spouse. Here are some tips to consider when deciding how to talk to your significant other about signing a prenup. Find the right time to bring the subject up. Choosing a time when you are in a heated argument is almost a guarantee that the conversation will end badly. If you have any religious counseling planned before your wedding, that may be the ideal time to approach it. There is less of a risk that someone is going to blow up in a religious setting. Have the conversation before you draw up the document. It will help foster a feeling of equality in the discussion, allowing both parties to have input versus being handed a document to sign. For younger couples who are right out of college, both parties likely have amassed quite a chunk of student loan debt. Consider using that as the basis to start a conversation about a prenuptial agreement. No one wants to be stuck with the other partner’s six-figure debts for law school or medical school. Talk about using a prenup to keep your debts separate in the event something does happen down the line. Don’t start a conversation with ‘Hey, I want a prenup.” And be sure you aren’t trying to sound condescending or insinuate that your assets are worth more or that you earn significantly more than your future spouse. Be reassuring and note that you are trying to protect their future as well. A prenuptial agreement allows you to be in control of your own financial accounts rather than entrusting them to the state and courts. Control your own emotional triggers and don’t be defensive. Try to control your own reactions and respond to any questions or concerns your partner raises. If you are defensive, it will just lead to additional arguments about the agreement. This could even result in a “take it or leave it” approach which will only lead to more problems and possibly the end of the relationship. If you have questions about prenuptial agreements or need to have one drafted, it’s important to speak with a skilled Boca Raton prenuptial agreement attorney first. Contact the Law Offices of Schwartz | White at 561-391-9943 to schedule a consultation.